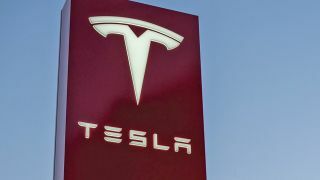 Tesla is planning a Supercharger network expansion that will cover "100 percent of Europe" in 2019, according to a tweet from the company's CEO Elon Musk. Musk tweeted about the plans in response to a Twitter user who asked when the network will be rolled out to more of Ireland. "From Ireland to Kiev, from Norway to Turkey," he added. Tesla is currently working on the Model 3, the company's most affordable electric vehicle (EV) to date. It's currently on sale in select European markets and first deliveries of the new vehicle are expected in February 2019. In the past, Tesla has revealed that the Model 3 will work with Combined Charging System (CCS) fast charging-compatible ports in Europe. But it's not been made clear whether it'll retrofit existing Superchargers with CCS plugs. But before we get ahead of ourselves, if there's one thing we've learned in recent years, it's to take Elon Musk's tweets with a pinch of salt. We don't doubt the Supercharger network will be expanding further into Europe, but only time will tell the rate at which that happens and how far it'll extend during the next 12 months.